Gila Amateur Radio Society, Inc.
Mission Statement: "To further the exchange of information and cooperation between members, to promote radio knowledge, fraternalism and individual operating efficiency, and to so conduct club programs and activities as to advance the general interest and welfare of amateur radio in the region. ​Please feel free to use our repeater when in the area. 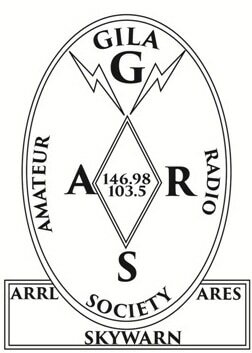 Please visit the Deming Amateur Radio Club's page. There's a lot going on in Deming, NM and GARS is proud to be a Sister Club of DARC! Copyright © 2018/2019 GARS, INC.